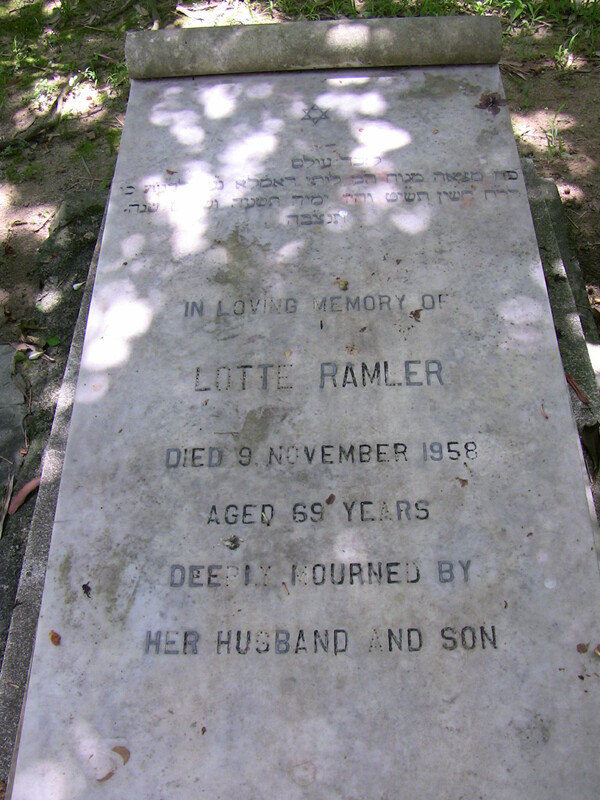 Historical Lotte and Ram arrived in HK as Jewish refugees in 1938/9. It appears her husband stayed behind in Kolomyya, Poland (now Ukraine) for some reason. 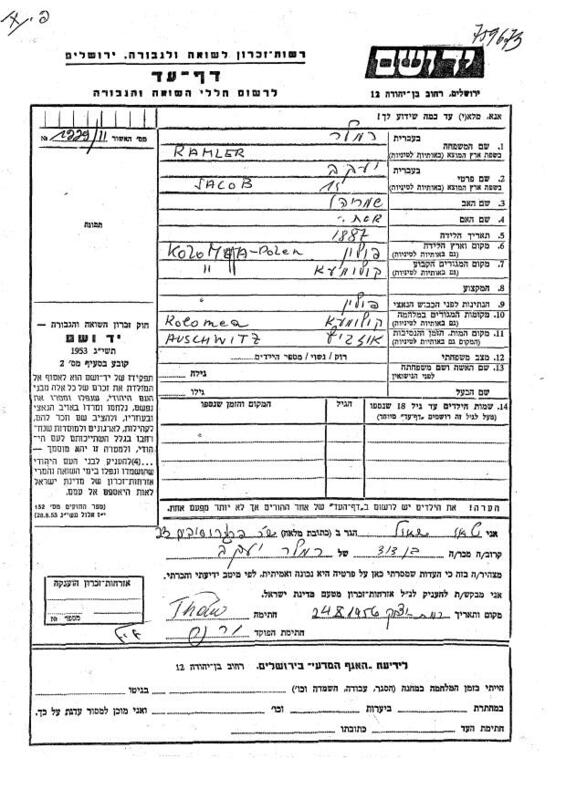 According to a Yad Vashem document, he was murdered in Auschwitz, however most of the Jews of Kolomyya were sent to the Belzec extermination camp. Lotte and Jacob Ber were married in Melnytsya, Ukraine (now Melnytsya-Podilska) in 1910. Kolomyya is in the southwest part of the country near the Romanian border while Melnytsya-Podilska is about 80 km east. Siegfried Szarfstein Ramler was born on March 21, 1912, in Buczacz, Poland (now Buchach, Ukraine), which lies between Kolomyya and Melnytsya-Podilska. He qualified as a doctor at the University of Palermo (Italy) in July 1934 and was added to the Hong Kong list of authorised medical practitioners in September 1939. He worked on Nathan Road at first, but by the time of the Japanese attack, he had moved to the Exchange Building on Des Voeux Road. As an Austrian citizen, he was not interned during the occupation. He was arrested by the Japanese on May 16, 1944 for reasons not currently known and held at Central Police Station for 27 days, providing medical attention to both prisoners and gendarmes. He gave evidence to a War Crimes about the use of torture at the Station. He stayed in Hong Kong after the war and became a popular and successful practitioner, and in 1947 he invited Solomon Bard, whom he’d known before the war, to return to Hong Kong to become his partner. He married Rosie Landau (née Brasilevsky) after her husband Emile (2D19) died in 1968. According to Landau granddaughter Barbara Ann Harding, “They had always been in love from when they met in prison in 1944. Many years later, some eight years after Rosie’s death, Ram had a relationship with a lovely lady named Barbara [Moyle]. They lived in and out of Israel and Canada. Ram had an accident in Israel — he was hit by a car — and died shortly after.” He died on April 25, 1995, in Vancouver, Canada. Both he and Rosie were cremated there. His UK Naturalisation Certificate (O3883, issued on 22 May 1947) states that he was from Poland but the border near Kolomyya was always changing at that time. He is most likely named after his father’s father, Szmarje (Schmeril) Ramler, and his father’s mother, Sprincie Szarfstein. Schmeril and Sprincie were married in Melnytsya, Ukraine in 1873. 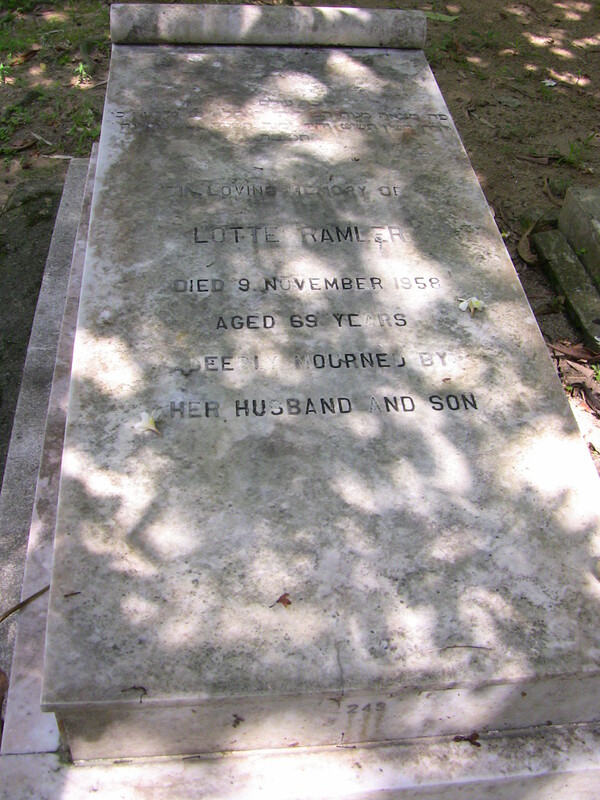 Lotte was living at 60 Macdonnell Road, Mid-Levels at the time of her death.